Sometimes I dream about a cheeseburger and sweet potato fries. So freaking good. Then I remember, I have a goal and if I’m going to add a little extra to my meals – it’s going to be donut. That doesn’t mean you can’t find simple, affordable, and healthy versions of the meals you love though. **Sidenote- as I’ve written in my other recipe blogs – I’m still getting my own groove in the kitchen and learning to be creative and not follow recipes 100%. I’m not really sure this is actually a casserole because I don’t really know what defines something as a casserole, but I did put it in my casserole dish therefore I’m calling it a casserole. Ok, I’m not challenging your intelligence, but I really wasn’t sure how exactly to do this. I honestly read like 5 blogs to investigate the various ways to steam cauliflower like this one, this one, and this one, too. This is real life, people. 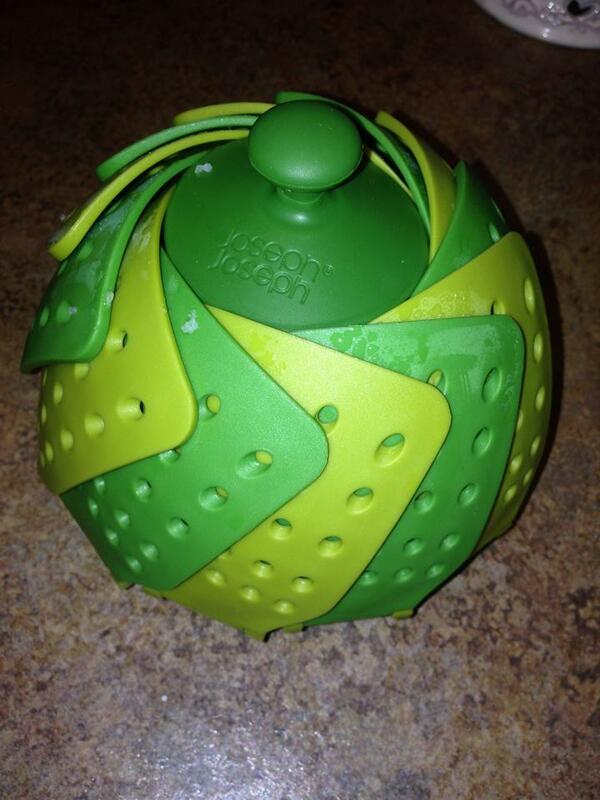 First up, you need a steamer basket like this one. 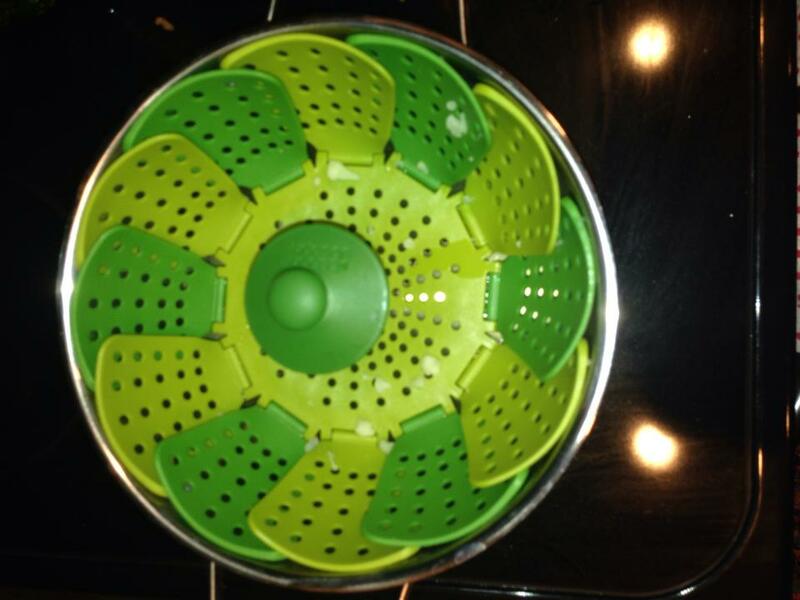 Put an inch of water into a pot and bring it to a boil, then insert your lil steamer basket (as seen below). See this lil steamer fits perfectly in the pot. And as you can see the water isn’t coming through the holes, because it shouldn’t. Booyah, Renee! Add in your chopped up cauliflower and cover with a lid. Let it boil for 10 minutes or until as tender as you prefer and you are done! You can read the blogs I referenced above on how to prep cauliflower, but for real, just break up the florets (sidenote- florets is a dumb word. I’m only using it because that what the other blogs called it) and toss them in. 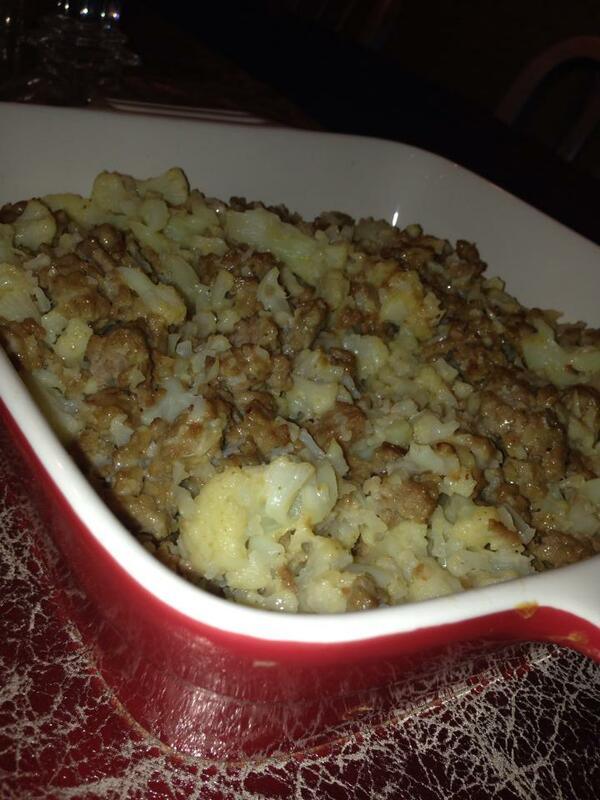 While your cauliflower is steaming, it’s time to cook the ground meat/turkey. 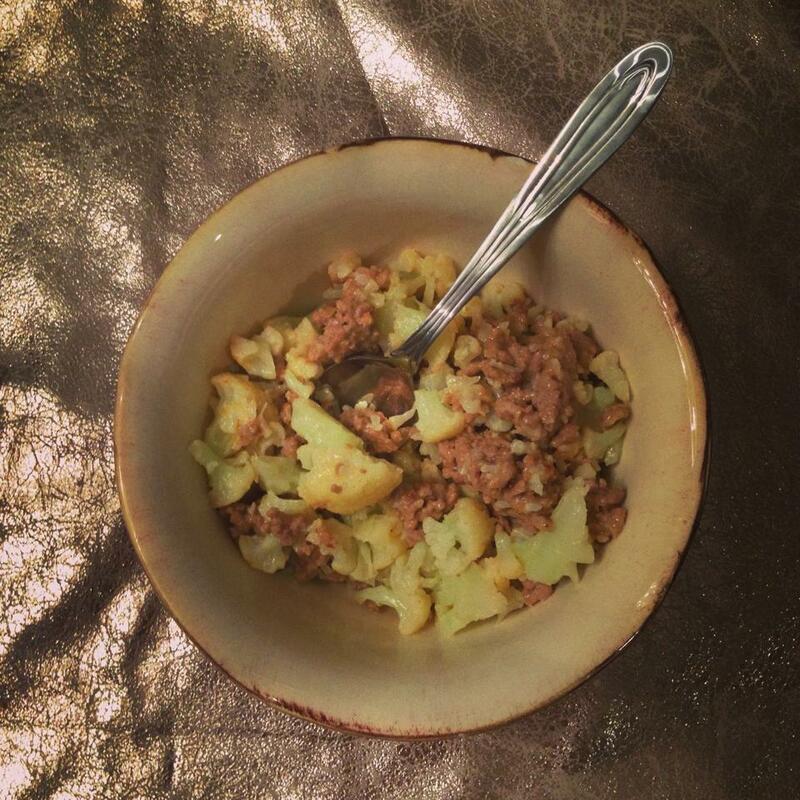 I’m a skillet lover, so I just tossed the ground turkey in the skillet and cooked it till brown. Once the meat is cooked, it should be just about the time your cauliflower is finished steaming, drain the meat and pour it back into the skillet. Add the cauliflower and mash it up some if you want it broken into smaller pieces. It should easily break since it’s tender. There is no need to turn the heat back on because it should all still be hot. Add in the cheese and onion salt and any other seasoning to taste, mix well, and enjoy! I might have dipped my fork in ketchup a few times while eating to savor the moment. Not yet! Great idea though!